With all of the high-tech and innovative stormwater control gadgets on the market these days, facilities often overlook one of the most fundamental and affordable best management practices (BMPs): employee training. 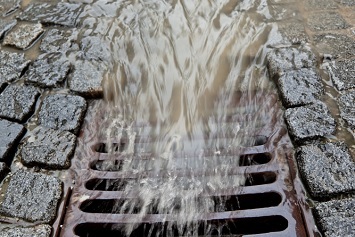 Most industrial stormwater permits require at least annual employee training, and it has become one of the most common and costly permit violations. In one case, a facility was fined $15,000 when improperly trained contractors poured paint and pressure washing liquid down a storm drain. But one of the most common challenges facilities face in developing effective stormwater training programs is getting employees and contractors to care about environmental, and specifically stormwater, management. Many see stormwater control as just another task added to their already heavy workloads. By engaging employees when developing your training programs, however, you can help your team appreciate that they are the first line of defense when it comes to preventing contaminated stormwater runoff and that they have a vital role in avoiding enforcement. Though many workers assume that stormwater control is a job for the environmental manager, everyone at an industrial facility has a role to play in stormwater management. It is essential to train all employees who could affect stormwater quality, especially those who work in areas where industrial materials or activities are exposed to stormwater and those who are responsible for meeting permit requirements. Keep in mind, however, that personnel need to be trained only as it relates to their job duties. Certain jobs require certain skills, and it isn’t necessary to make a worker responsible for loading or production sit through a session on the finer points of stormwater inspections if he or she isn’t on the stormwater team. You should plan to conduct stormwater training on a routine schedule. This improves employees’ retention of information and allows you to include updates on performance and to discuss issues found during inspections or maintenance activities. Facilities conducting frequent training have shown that regular refreshers can increase the effectiveness of stormwater programs overall. To help you organize and develop your program and determine who needs what training and when, it may be helpful for your facility to develop a stormwater training plan. In the training plan, you should identify all of the BMPs applied at your facility, which employees have primary responsibility for maintaining and implementing them, and what other employees should know to ensure their success. Your plan should also identify how employees will be trained, whether through written materials, verbal instructions, videos, or testing, and the time frame and frequency of training for new and existing employees. With a solid game plan, your training program, and your stormwater management program as a whole, will be much more likely to succeed. All of this planning and preparation will be for naught, however, unless you can convince employees that stormwater control matters to them and their work. To get employees engaged in stormwater training, you need to emphasize that they are an essential part of environmental protection and compliance with your facility’s permit. Employees should be encouraged to become active participants in permit compliance, and they should know that their actions matter! Workers’ daily operations are the most effective way of preventing contaminants from entering stormwater in the first place, and it is much easier and cheaper to avoid pollution than to try to treat it after it occurs. To make your stormwater training program more meaningful for employees, make training sessions site-specific to your facility. Include hands-on training, such as spill response drills, and involve coworkers in developing and teaching subjects during the training. Be conscious of any language gaps that might be present in your workforce, and clearly convey how your facility wants employees to look for and report problems. With effective training, every employee can become a valuable resource and a part of your facility’s spill prevention, cleanup, and stormwater management strategy. To help get you started with enhancing your stormwater training program, see BLR’s Toolbox Talk on Industrial Stormwater Sampling Preparation and training course on the Stormwater Pollution Prevention Plan for Industrial Facilities.